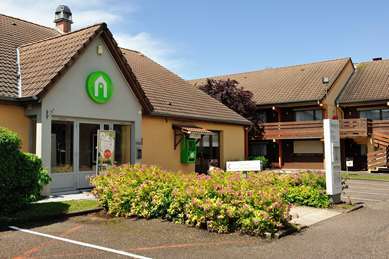 Are you planning to stay in Lorraine and looking for a hotel? 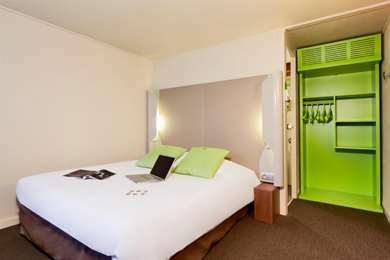 Campanile offers you comfortable rooms and tasty treats at the best price! What do quiche Lorraine, Mirabelle plums, rum baba and Madeleine cakes all have in common ? They all come from the Lorraine region of France, with its fascinating hybrid culture long fought over by France and Germany. Lorraine is the only French region to have borders with three other countries: Belgium, Luxembourg, and Germany. Today, everyone who lives in this northeastern region speaks French, though Lorraine Franconian, a dialect of middle German, is spoken around Metz and Thionville and in the German Palatinate. Use of the traditional romance language Lorrain, a French dialect, is limited. The area has been part of France since then, with the exception of WWII. A trip to Lorraine wouldn’t be complete without a stop in Metz, the capital of the Lorraine region. Here you can see the famous St. Stephen’s Cathedral, created by joining two perpendicular churches around 1220. Another must-see is the Centre Pompidou-Metz, which has become a highlight of the region since opening in 2010. The museum boasts one of the largest modern art collections in Europe. 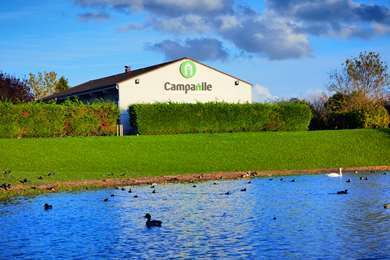 While you’re there, stay in the Hotel Campanile Metz Sud - Jouy aux Arches hotel ! With a few extra days to explore the region, it’s worth making the trip to Nancy , a gem of classical architecture. 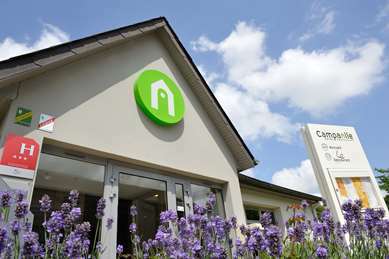 The Hotel Campanile Nancy Est - Essey is only 10 minutes from Place Stanislas, the tourist office, Nancy city centre and many museums. In minutes, you can escape the city for some quiet relaxation in the surrounding lakes and hills. Don’t miss the Place Stanislas mentioned, Place de la Carrière and Place d'Alliance, all UNESCO World Heritage Sites. 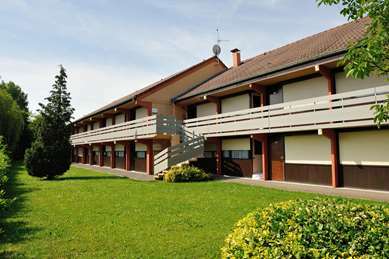 Fun for the whole family can be found in Epinal. You can head to the Bol d’Air Aventure, an exciting adventure park full of rope bridges, aerial runways, mobile beams and climbing nets. There are six routes of increasing difficulty including the Adventurers’ Trail for only the most daring of climbers. To take a ride through the cosmos, take a trip through the Centre Belle Etoile, the only planetarium of its kind in Lorraine. 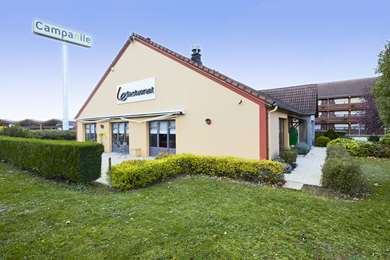 And while you’re there, the Campanile Epinal hotel will cater for all your needs ! The region of Lorraine is situated at the heart of Europe and so benefits from superb road and motorway communications. The A4 motorway between Paris and Strasbourg exits at Verdun and Metz. The A31 motorway between Luxembourg and Lyon exits at Metz, Nancy, Pont-à-Mousson, Toul and the Vosges. The TER regional trains and the East European TGV fast trains travel to Lorraine at 320 km/h. Lorraine is best known for its delicious quiche Lorraine, filled with egg custard and smoked bacon. However, the potato is also an important feature of the region’s traditional dishes, including the potée Lorraine, a smoked meat and sausage stew with cabbage and root vegetables. Lorraine’s emblematic fruit, the Mirabelle plum, is used in pies, desserts and alcoholic beverages. Festivals fill the region in the summer months with the dancing fountains show, Metz illuminations, the Mirabelle Festival, summer concerts and the Montgolfiades ballooning festival in September. Christmas is another festive season, with Christmas markets and illuminations, a giant skating rink and activities throughout the town of Metz. Because of the region’s Catholic heritage, nearly every village in Lorraine has a church, though not all of them have a dedicated priest. Church bells announcing Angelus time are stopped during Holy Week and replaced by children who yell “C’est l’Angélus!” After Easter, they go from house to house receiving small gifts.